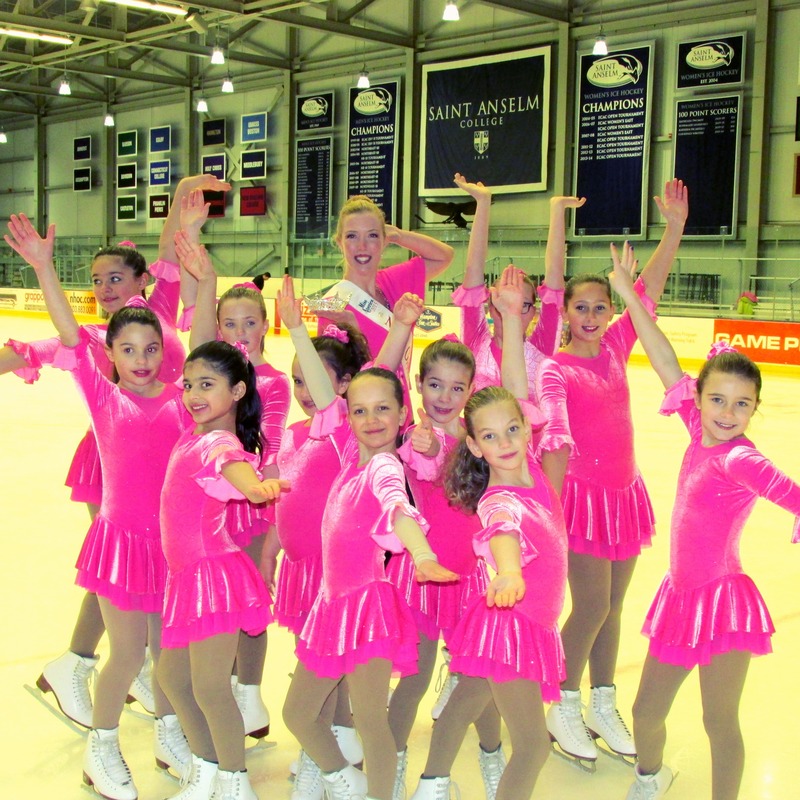 The Synchro Stars Synchronized Skating Organization finished a great season with a special Reach for the Stars Exhibition at Saint Anselm College. The B1 Black Team won the U.S. Figure Skating Eastern Synchronized Skating Challenge Series! It takes heart and courage to jump into Lake Winnipesaukee in the middle of the winter. Brave students from across the state have made that an annual tradition with the High School Winni Dip for the Special Olympics. This year’s theme was the Wizard of Oz and the costumes were awesome. Dorothy, Toto, Glinda the Good Witch, the Lion, the Scarecrow, even the Wicked Witch of the West dove into the icy water for a great cause. The Winni Dip is hosted by the amazing Mark Ericson and Karen Kiley from WOKQ. These rookie dippers weren’t phased by the icebergs or snow. The team from Manchester West raised $3,405 for SONH. Rosie was my co-judge for the Wizard of Oz costume contest. 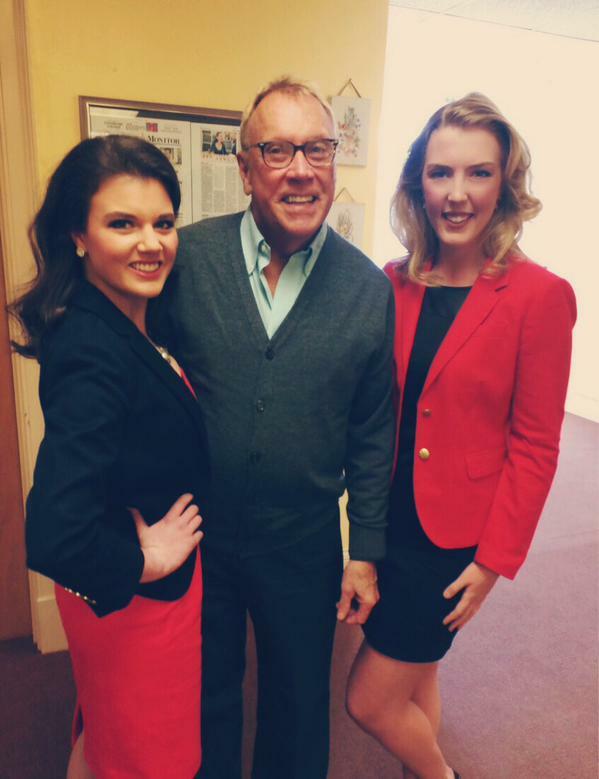 It was wonderful to spend the day with Outstanding Allie, Miss New Hampshire’s Outstanding Teen 2015. During the High School dip, 58 participants from 13 different High Schools raised $14,597 to provide sports training and athletic competition for children and adults with intellectual disabilities. 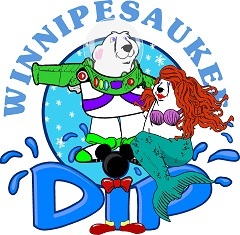 The Saturday Winni Dip raised almost $70,000. The total raised during the weekend was $84,431 for the Special Olympics. These funds make it possible for 4,868 participants and thousands of volunteers, friends and family members take part in SONH activities. The Special Olympics help individuals with intellectual disabilities overcome barriers through sports. Every day they empower athletes to shatter stereotypes and exceed their personal bests on the playing field and in life. New Hampshire residents will again assist a Panel of Judges in the selection of Ten Semi-finalists in the 2015 Miss New Hampshire Scholarship Competition. The annual competition will take place at the Stockbridge Theatre at Pinkerton Academy in Derry, New Hampshire, from April 30-May 2, 2015. Bill Haggerty, Co-Executive Director of the Program, said the public will have the opportunity again this year to vote for… one contestant they would like to see included among the semi-finalists and possibly become Miss New Hampshire 2015. 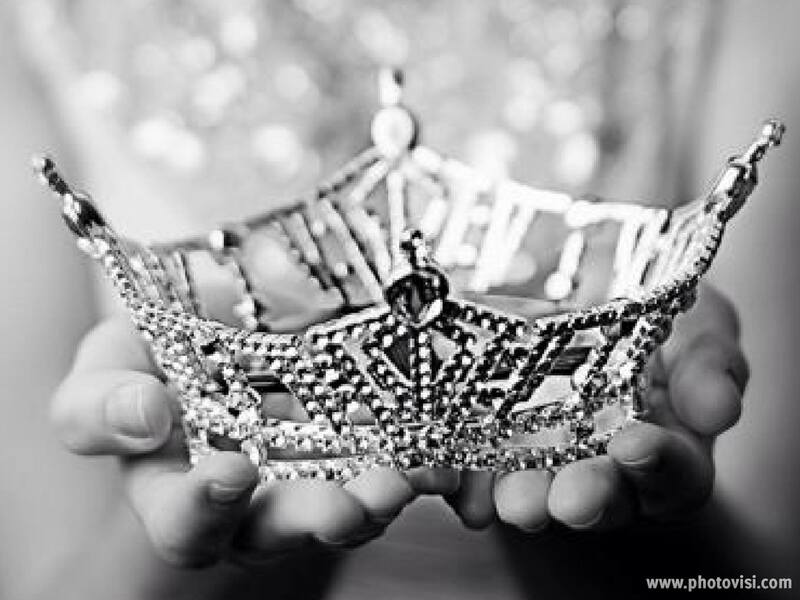 Votes can be cast on the Miss New Hampshire Scholarship Program Facebook page (https://www.facebook.com/home.php#!/MissNH). A panel of five judges will determine the nine contestants earning the greatest number of points in the five phases of preliminary competition (Private Interview, Lifestyle & Fitness in Swimsuit, Evening Wear, Talent and On-Stage Question competitions) to join the one contestant gathering the largest number of votes. The final competition is on Saturday, May 2, 2015. “The popular vote in selecting one of the contestants as a semi-finalist has generated a lot of interest in the competition over the past several years. We expect that the response will be equally overwhelming this year as family and friends sign on their computers to support their favorite contestants,” said Haggerty. 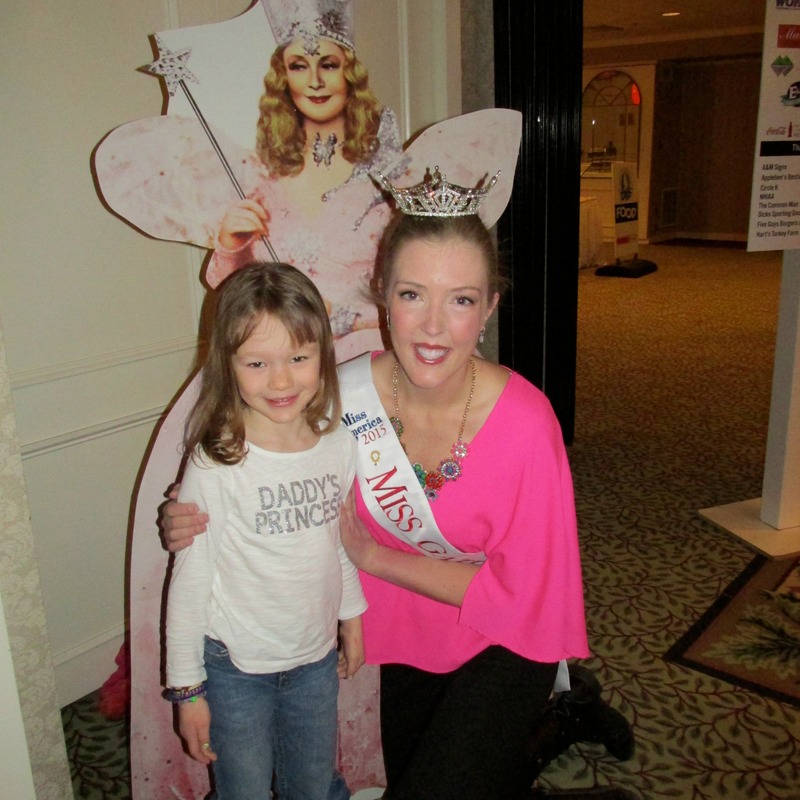 Megan Cooley from Auburn won the title of Miss New Hampshire 2014 last year. If the contestant earning the largest number of votes through the public voting is among the nine earning a place as a result of the Panel of Judges’ scores, then the contestant receiving the next largest number of points from the Judges will be added to the list of semifinalists. Following the announcement of the Top Ten, all ten contestants will compete in the Evening Wear, Talent, and Lifestyle and Fitness in Swimsuit Competitions. Based on the Judges’ Composite Scoring, which takes place after the two nights of preliminary competitions, as well as the results from the on stage competitions, a Top Five will be announced. The Panel of Judges will then complete individual ballots listing the order in which they believe the Top Five should finish. 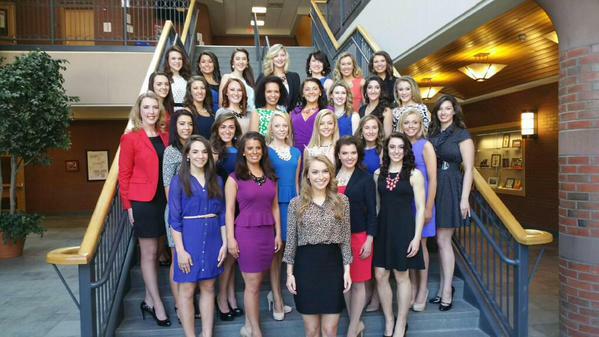 Based on the points on those ballots, Miss New Hampshire 2015 and the four runners-up will be announced. Contestants are being encouraged to actively seek votes from friends, neighbors, and the general public through the media and social networks. Voting will take place between April 1 and April 30, 2015. 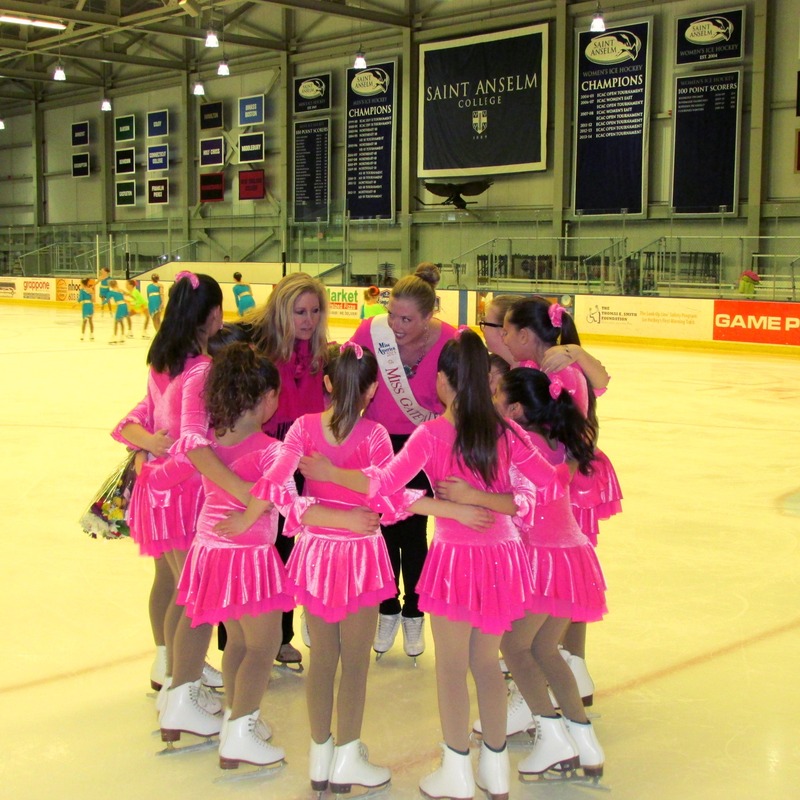 To purchase tickets for the April 30-May 2 competitions, please call the Miss NH office at 603-437-9027. 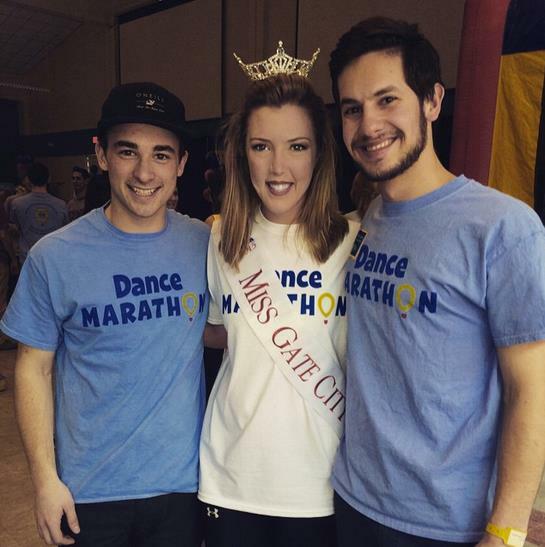 Congratulations to the University of New Hampshire Dance Marathon Team. 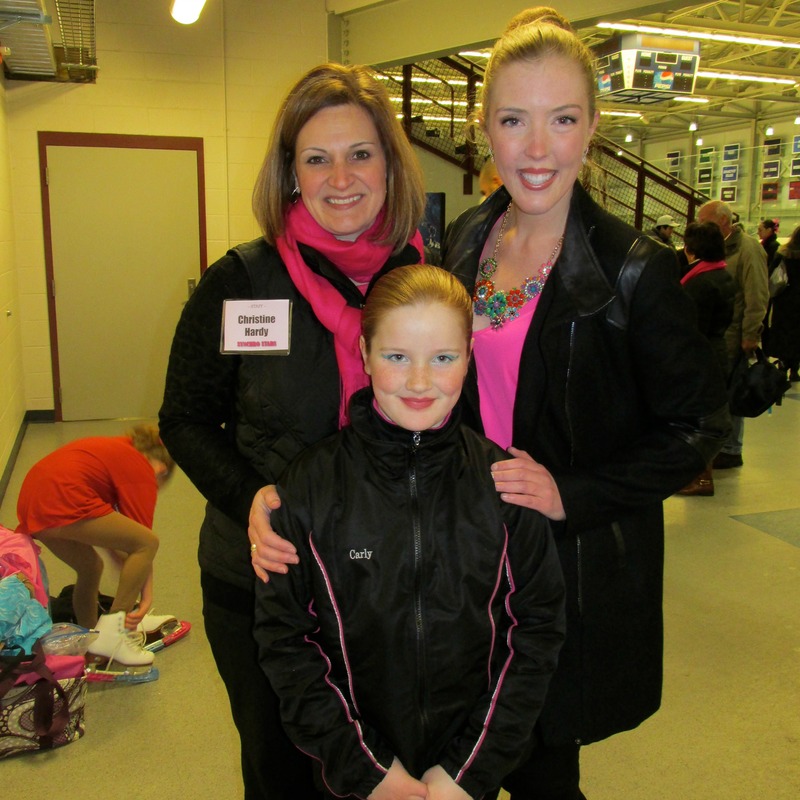 This year’s event raised $19,746! This was the second year of DM at UNH and it was AWESOME. I loved THON at Miami University, and it was great to be at UNH dancing FTK (For The Kids) and catching-up with Rosie Holmes from Boston Children’s Hospital. Congratulations to everyone who planned, participated, sponsored, and donated to this wonderful event. Ticket rush with Lauren Percy and Bill Haggerty, he has been an MAO volunteer for 51 years! Miss NH 2014 Megan Cooley and the state finalists vying for her crown in the beautiful Pinkerton Academy Building Atrium. Boot Camp is a little like homecoming, because you get to see all the wonderful Miss New Hampshire State Staff and reconnect with the incredible family of local and state volunteers who make our program possible. There were presentations by Co-Producer Chris Piccolo (who has an EPIC show planned), forever Miss New Hampshire Jennifer Landry Blanchard, and reigning Miss New Hampshire Megan Cooley. And our host Jamie Staton from WMUR stopped by. We learned that there will be a popular vote contest – stay tuned! – and the show will be webcast. We jumped right into dance rehearsals on Sunday and this show is going to be dazzling! 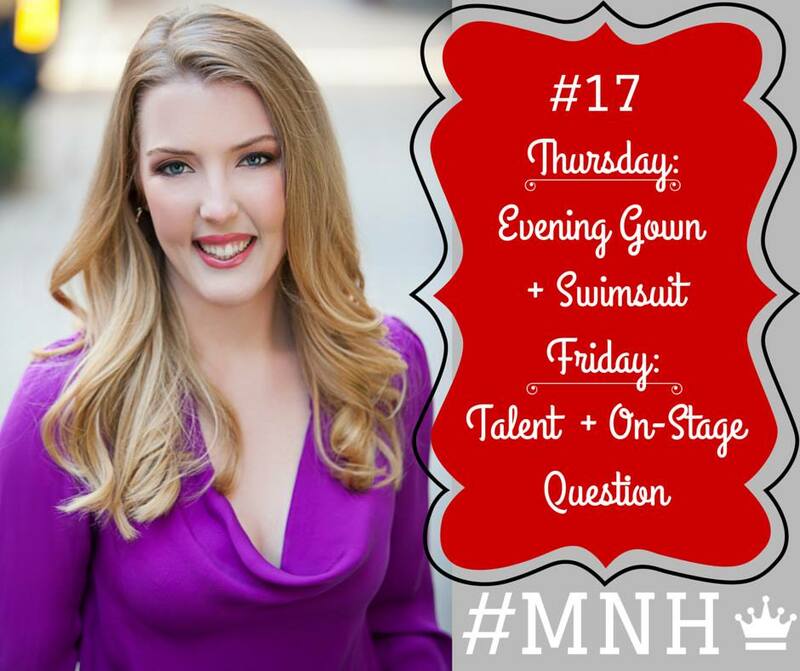 Hope to see you there…tickets are still available by calling Miss New Hampshire Office at (603) 437-9027. Did you flip out on March 3? All of us at the Newington IHOP sure did. 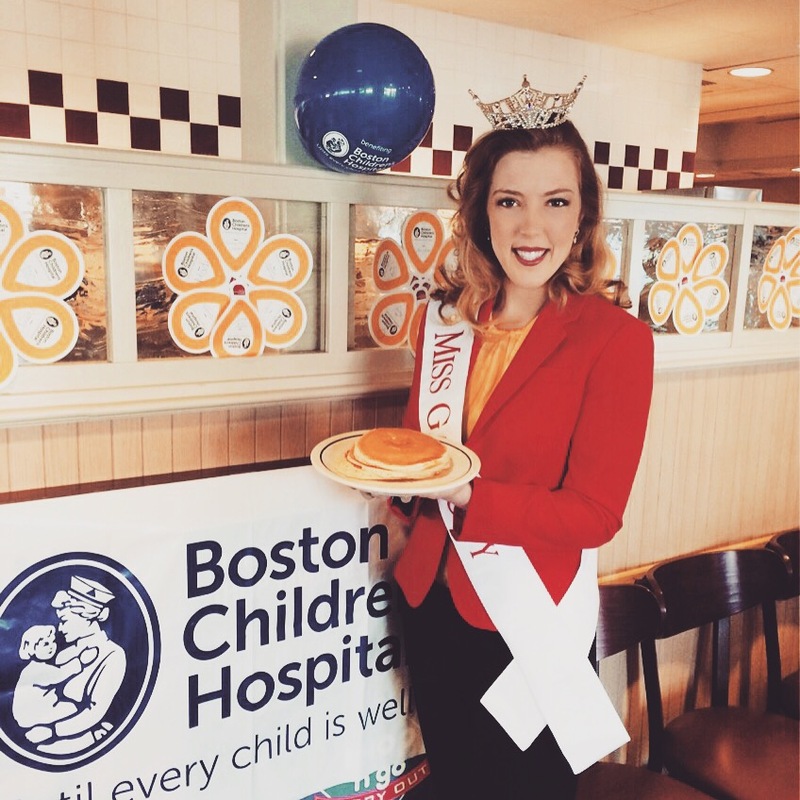 This was the tenth annual National Pancake Day at IHOP for the Children’s Miracle Network Hospitals. I worked the first shift and it was a busy morning. The IHOP staff is amazing. They work extra hard on NPD to serve extra large crowds a free short stack of delicious pancakes.